Born at St. Elmo, Ontario on 2 February 1862, son of Donald McKerchar (1825-1901) and Mary Sinclair (1831-1926), he came to Winnipeg with his family, including brother Daniel Willis McKerchar, in 1879. He became a partner in the grocery business of Pickworth and Coy on Main Street, buying out his partner Pickworth in January 1882. He rebuilt after a fire in 1883 into one of the city’s largest grocery businesses. On 12 July 1892, he married Mary Christina McKay (1870-1958), daughter of Rev. John McKay and Margaret Laurie, at Elphinstone. They had three daughters: Mary Elva McKerchar (1897-1983), Margaret Laurie McKerchar (1899-1976), and Ada Sinclair McKerchar (1902-1986, wife of Stanley Fraser McGee). He served over 21 years on the Winnipeg School Board and was a President of the School Trustees Association (1908-1909). 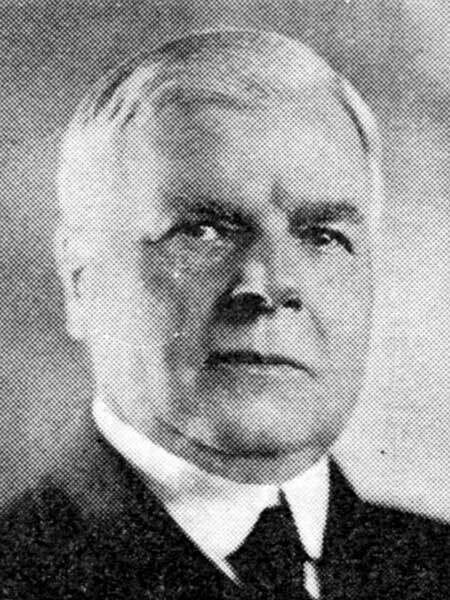 He was a member of the Winnipeg city council from 1921 to 1934, and served as President of the Union of Canadian Municipalities (1931-1932). In 1934, he ran for Mayor of Winnipeg but was narrowly defeated by John Queen. He died at the Grace Hospital on 24 December 1948 and was buried in the Old Kildonan Cemetery. “Real old-timer likely to win council seat,” Manitoba Free Press, 4 December 1920, page 10. “Ex-alderman McKerchar dies at 86,” Winnipeg Free Press, 24 December 1948, page 1. We thank Charles Bouskill for providing additional information used here.